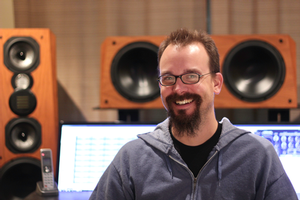 Daniel Shores is a three-time GRAMMY® Nominee (two for Best Surround Sound Album, one for Best Engineered Classical Album) and has recorded, mixed and mastered albums accounting for 17 GRAMMY® Nominations and 1 Latin GRAMMY® win. Shores served as the head of the Sono Luminus record label from 2006–2014 and continues to serve as the label’s head engineer. In addition to Sono Luminus, Shores has recorded albums for Bridge Records, Naxos, RCA Red Seal, Koch, Hannsler Classics and the Steinway and Sons Record label, accounting for well over 140 albums.